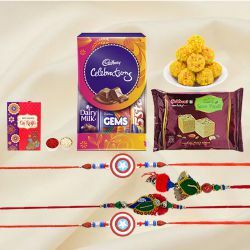 Raksha Bandhan is round the corner, convey your love to the siblings who awaits your endearments with embellished Rakhi Gifts in Gujarat. 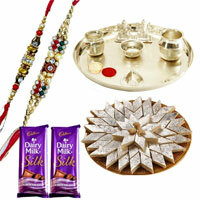 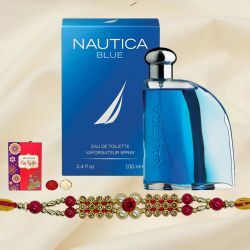 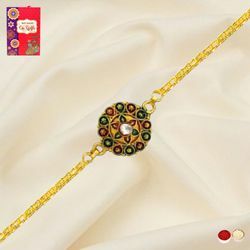 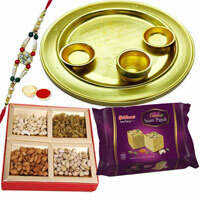 You can find designer Bhaiya Bhabhi Rakhi Lumba Set, Puja Thali, Sweets and Combos Gifts at Low Price. 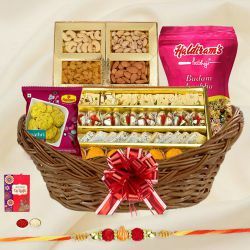 Order online and get Timely Delivery with no shipping charge. 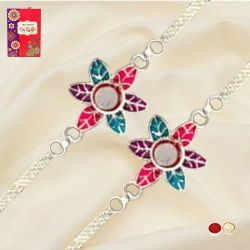 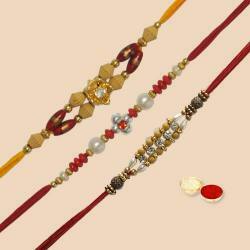 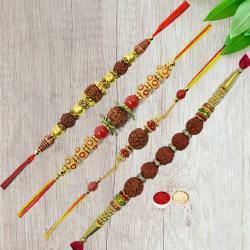 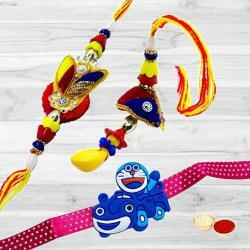 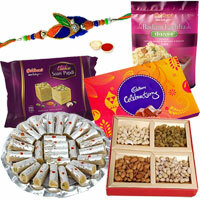 Send designer Rakhi & Lumba along with other Rakshabandhan Gifts for your Bhaiya & Bhabhi in Gujarat. 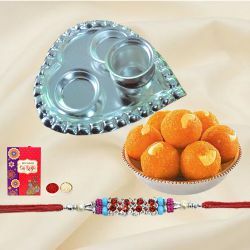 Order online and get the Pooja Thali, Sweets, Chocolates and many more Hampers at low price and get them delivered for sure on or before Raksha Bandhan 2018 (26th August’18). 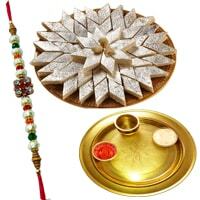 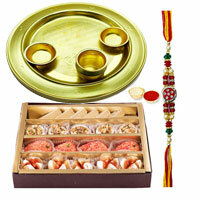 Order Rakhi Thali decorated with Rakhi, Roli, Chawal n Sweets for your dear ones in Gujarat. 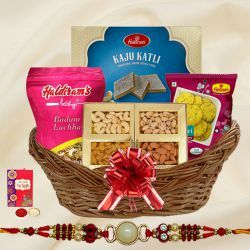 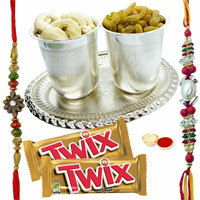 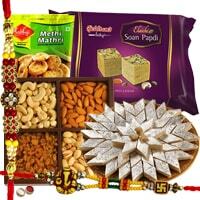 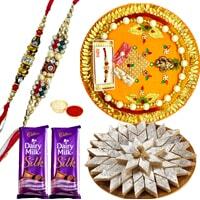 Send a sweet treat for your Brother in Gujarat with Cadbury Silk, Toblerone and Rakhis. 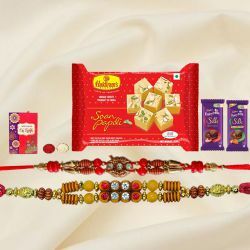 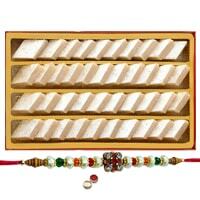 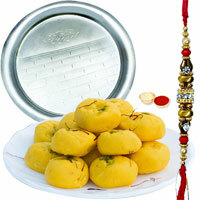 Gift Sweets like Kaju Pista Roll, Motichur Laddoo with designer Rakhi for siblings in Gujarat.